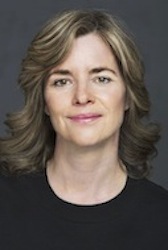 Suite au décès de Kate McGarrigle, il y a près de deux ans, j’avais déjà souligné, dans un billet, tout ce que représente, pour Montréal, le « clan » McGarrigle, et tout ce que nous leur devons. 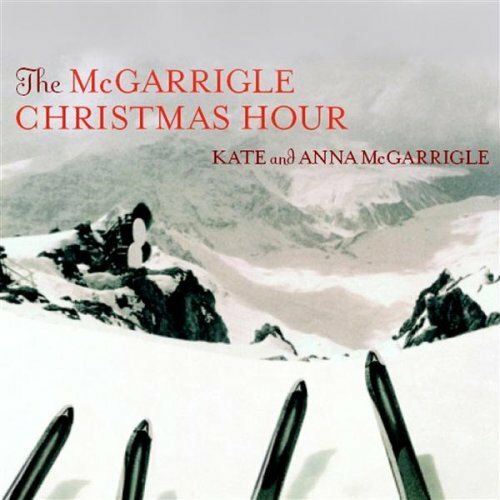 À l’occasion du temps des fêtes, je partage ici ce témoignage/récit/souvenir signé par Kate et Anna McGarrigle, qui figure dans le boîtier du CD The McGarrigle Chrismas Hour, qui est, en passant, un bijou de classique de Noël. « We were coming onto Christmas in the early 60′s and our mother asked us if we had ever thought of doing something for the less fortunate. We thought, »okay, we could do that », and she suggested we free some orphan children from their miserable institution for an afternoon and turn them loose onto the festive streets of Montreal, cheerfully decorated in this season of celebration. She would call ahead to make arrangements, while we could raise the money by caroling, to »do something useful with these voices. » We earmarked the last Friday night before Christmas, a very good night, since people were hosting parties, and pockets get deeper as the punchbowl gets shallower. Our plan worked. So on Saturday morning, with the money from our previous night’s caroling, we went to the orphanage, which was out in this huge field, and there we were introduced to six-year-old-girl and her four-year-old brother, the two children whom the nuns thought would most benefit from our kindness. We cannot remember their names. They were tiny and poorly dressed, and we had never really seen orphans before. Around noon we got them onto the bus, then off downtown. We showed them Santa Claus, stared at the beautiful department store windows, stopped for a little treat – hot chocolate and a bun- and bought a few little gifts, things they could share with the other orphans (as the nuns respectfully insisted). Then we took them home for the Christmas dinner that our mother was preparing for the occasion, some sort of bird, most likely a capon (her favorite), with all the trimmings, and some pudding for desert. She had surprised us by decorating the table for the event – this was not a side of our mother people were used to seeing. During the meal, between passing the cranberry sauce and the bread, she paused and in true « Gaby » fashion asked the little girl, « how come you two are in the orphanage, and why are you unadoptable? » to which the child replied that her father had put a knife in her mother’s back, killing her, and had been subsequently jailed, and that she and her brother were sent to the « crèche » because there was no one to look after them, and that they were unadoptable because their father was still alive, and anyhow, they were too old. Point final. Stunned, we sat in silence a bit, then carried on with our meal, ate the desert, and began looking at the clock – it was Saturday night and we had pals to meet, parties to go to -and we had promised the nuns to get them back before eight. At this point, we all left the table, gathered together the few gifts, got our coats on, looked for mitts and hats and the wherewithal to brave the cold, checked our lipstick in the hall mirror, and went in search of our protégés. We found them in the kitchen. Nobody remembers exactly what happened, but our mother must have explained how this was impossible, and somehow we packed them into the car and dropped them off in darkness at the large, forbidding doors of the institution, that tall building with its steel cots and cribs that stood out in the middle of nowhere, surrounded on all sides by empty fields, where cleanliness was a poor substitute for love. Then we headed straight for the coffee shop where we were meeting the gang for some holiday mischief, some party or other. We were already quite late and the gang hates to wait. Well they were waiting, and we went to the party and got to dance with the ones we wanted to dance with, and Christmas came and we got the things we had asked for, and life went on and we didn’t do too badly. We never did see those children again, and we’ve long since forgotten that afternoon, but over the years, maybe because we have families of our own, they’ve come creeping back into our thoughts – the nameless six-year-old girl and her four-year-old brother – those little faces with the tiny voices. We would like, with this CD, to wish the two of them a very Merry Christmas, whoever they were and wherever they are. Joyeuses fêtes à tout le monde. Et que ceux d’entre nous qui ont la chance de les passer avec des proches s’en réjouissent. Les orphelinats n’existent plus mais il y a encore, hélas, des jeunes à qui l’amour et la chaleur manquent, et encore plus cruellement à cette période de l’année. On peut le voir entre autres dans ces reportages consacrés ces temps-ci par TVA aux « enfants de la DPJ »; on retrouve d’ailleurs, à la fin du texte, un lien permettant de don à l’Association des centres jeunesse du Québec. D’autre part, ce reportage de La Presse fait état de l’Opération Père Noël, à laquelle participent divers acteurs liés au milieu du cinéma et de la production, dont le réalisateur Francis Leclerc, aussi au profit de l’Association des centres jeunesse. ← Lions de Cannes 2012 : pourquoi aller voir des pubs au cinéma ?